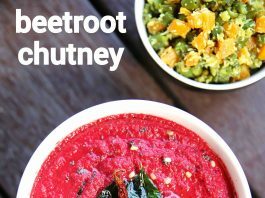 beetroot chutney recipe | beetroot coconut chutney | beetroot pachadi with detailed photo and video recipe. 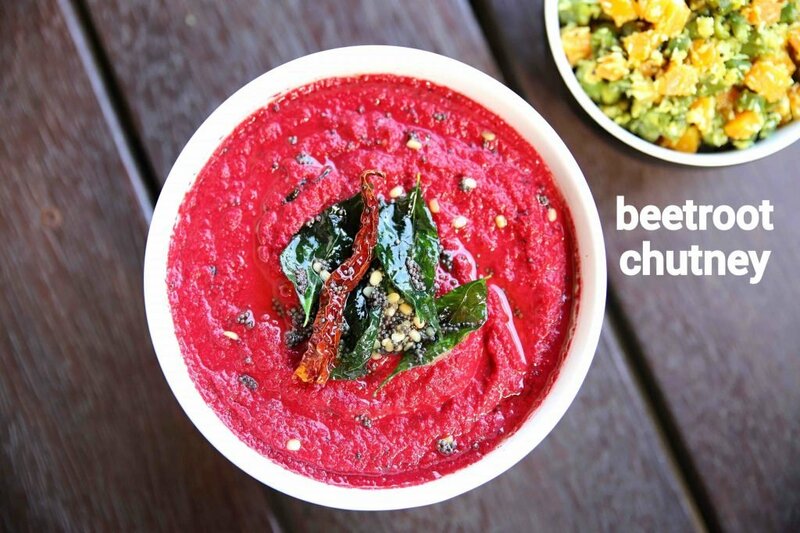 simple and healthy spicy condiment recipe made with beetroot slices and coconut. 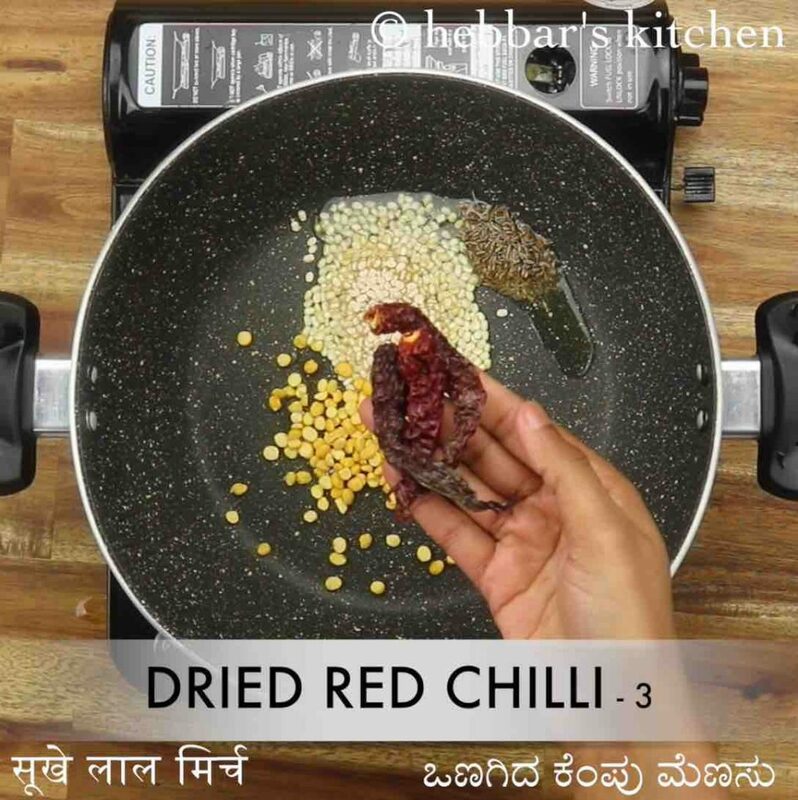 unlike other traditional chutney recipes, this recipe has a bright red colour with a bright texture. it is a very good alternative for your morning breakfast to be served with dosa and idli but also to be served with steamed rice. 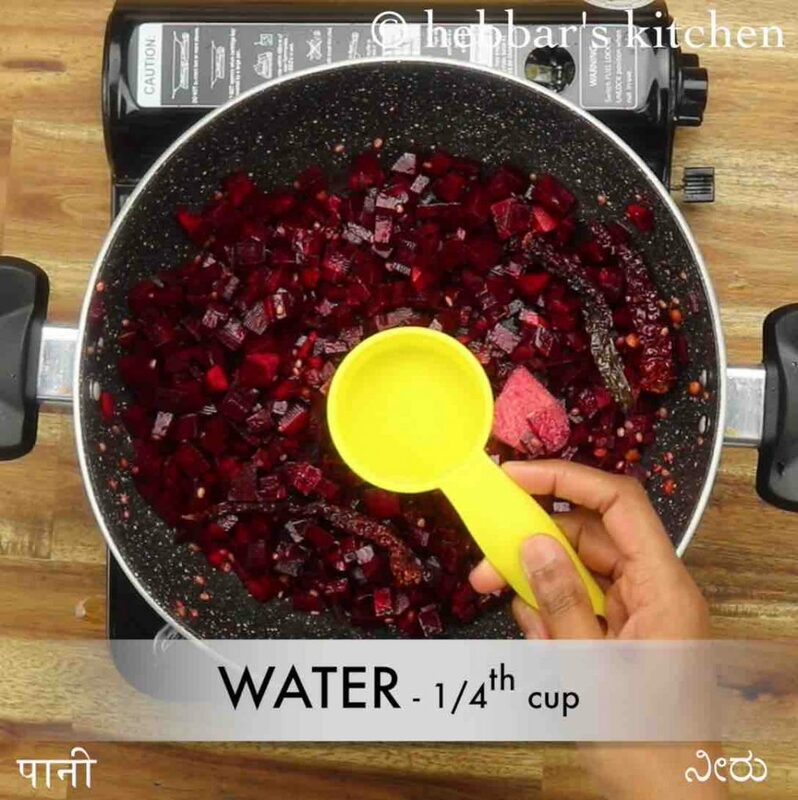 beetroot chutney recipe | beetroot coconut chutney | beetroot pachadi with step by step photo and video recipe. chutney recipes are essential condiment recipes for many south indian households. 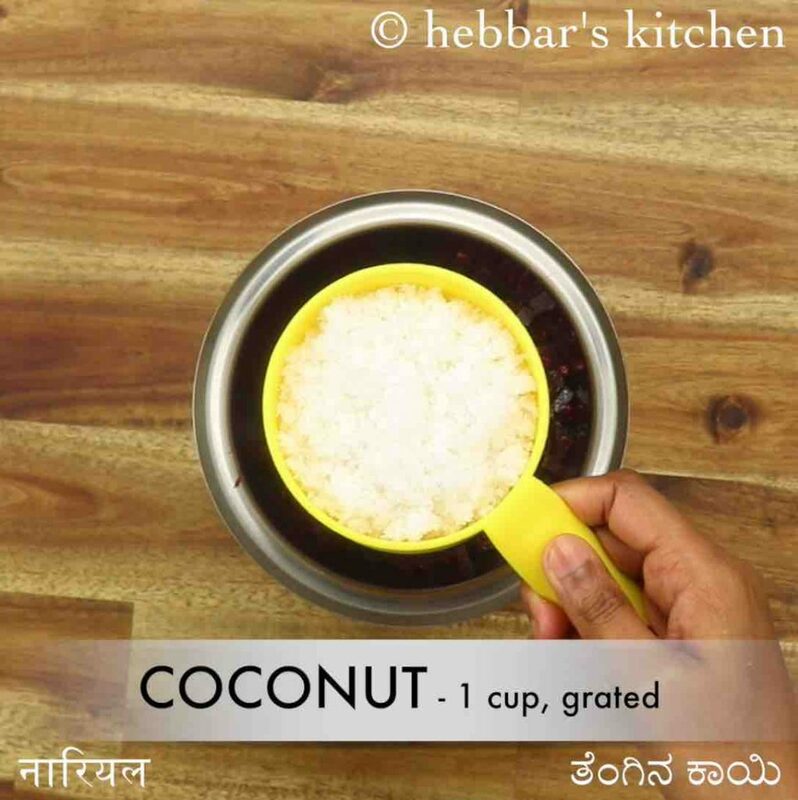 it is generally made with coconut and mixed with other veggies for different flavour and taste. 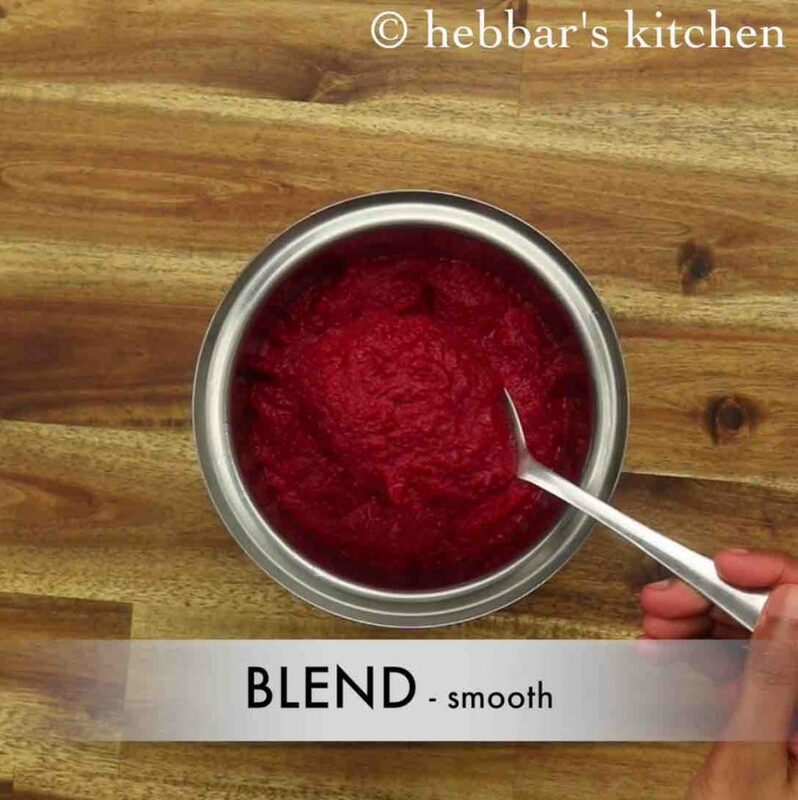 one such easy and simple recipe is beetroot chutney recipe made with beetroot slices and grated coconut for morning breakfast recipes. i always explore for new chutney recipe and i try to make an experiment with vegetables available in my fridge. one such new experiment was making sweet and spicy chutney recipe with beetroot. 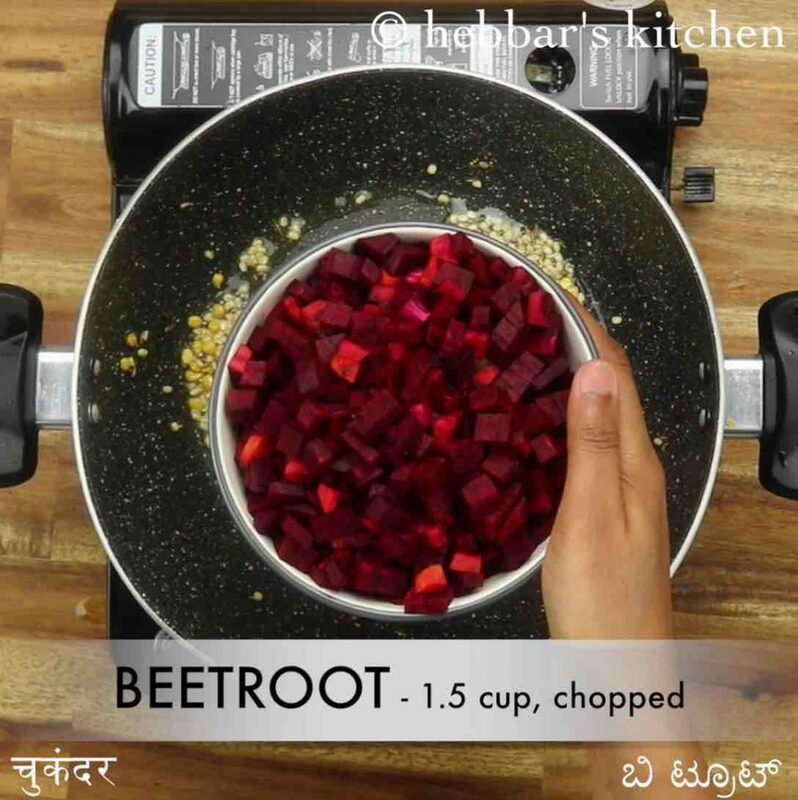 even though i am not a huge fan of beetroot recipes, i somehow liked this beetroot pachadi and i like to serve it with rasam rice or sambar rice recipe. as a matter of fact, it also taste great when served with soft dosa like set dosa or neer dosa recipes too. personally, i liked this recipe because of the combination of sweet and spicy taste it has to offer, which makes it unique compared to all other traditional chutney recipes. 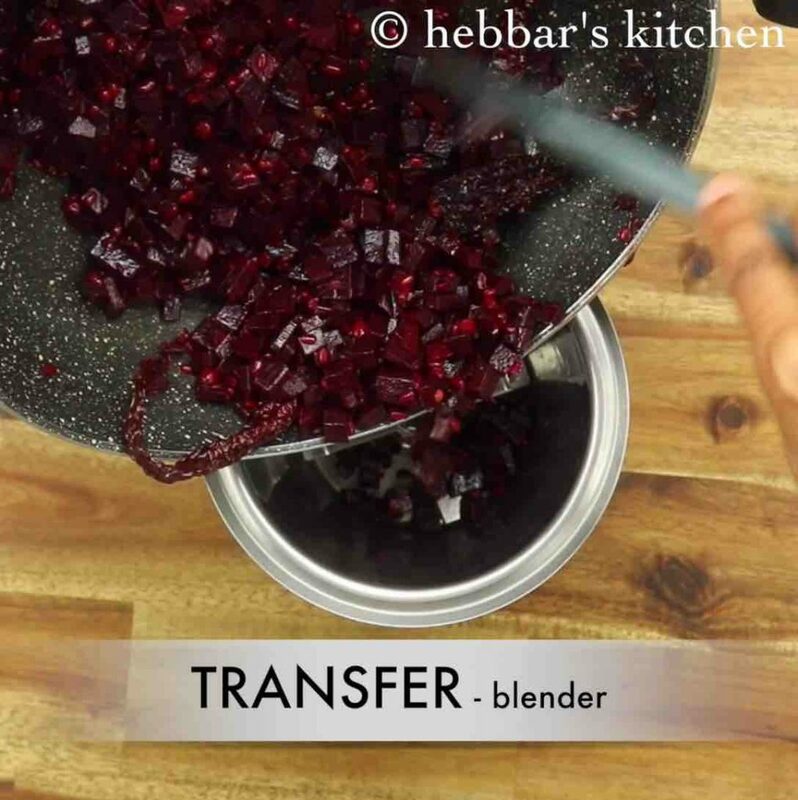 the beetroot chutney recipe is extremely simple, yet some tips, suggestions and variations while make this recipe. firstly, in this recipe, i have used beetroot as just one veggies. but you can also use the combination of other veggies like carrot, onions and tomatoes. 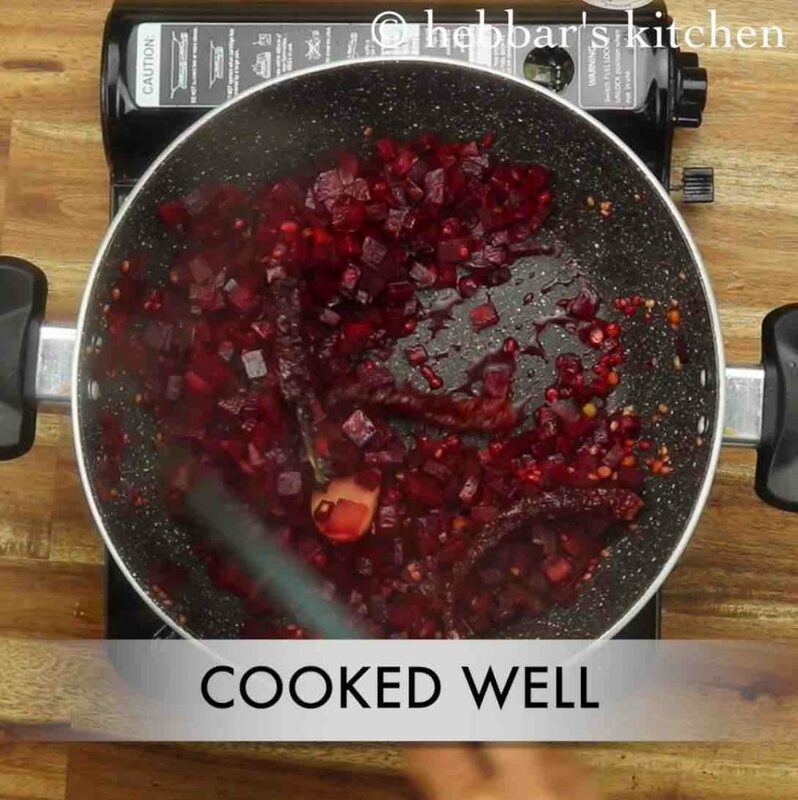 secondly, the beetroots are generally sweet in taste and hence you do not want to add any extra sweetness to this chutney. also because of the sweetness, you may want to make it more spicy to balance the taste and flavour. lastly, the chutney remains even after 2 to 3 days and hence store it in a air tight container for better shelf life. 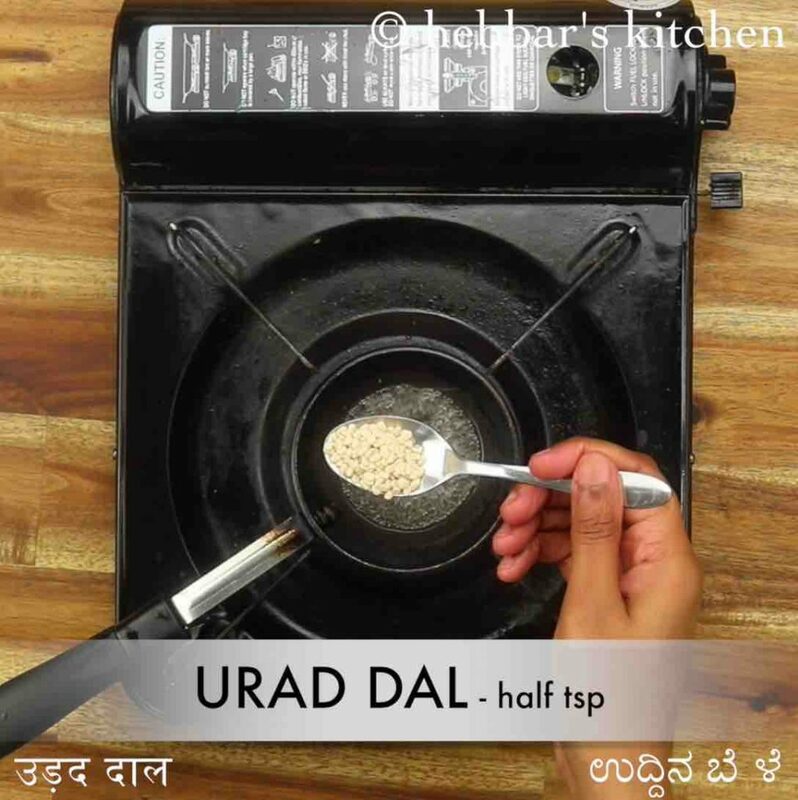 firstly, in a large kadai heat 3 tsp oil and roast 1 tbsp urad dal, 1 tbsp chana dal, ½ tsp cumin and 3 dried red chilli. add 1-inch ginger, 1½ cup beetroot and ½ tsp salt. now add ¼ cup water, cover and cook for 10 minutes. 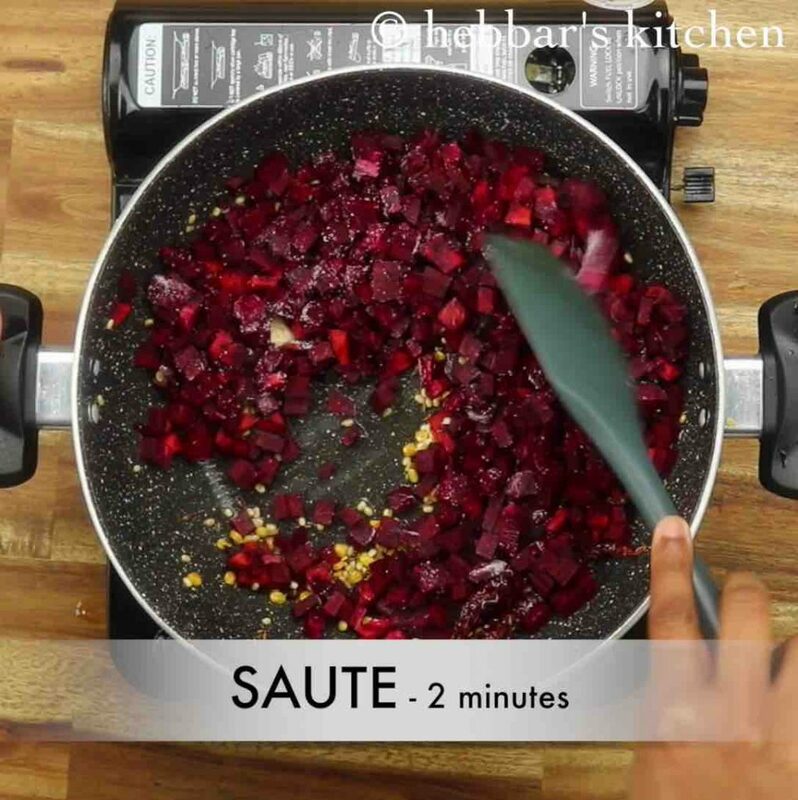 cook until the beetroot is softened. add in 1 cup coconut, small ball sized tamarind, ¼ tsp salt and ½ cup water. 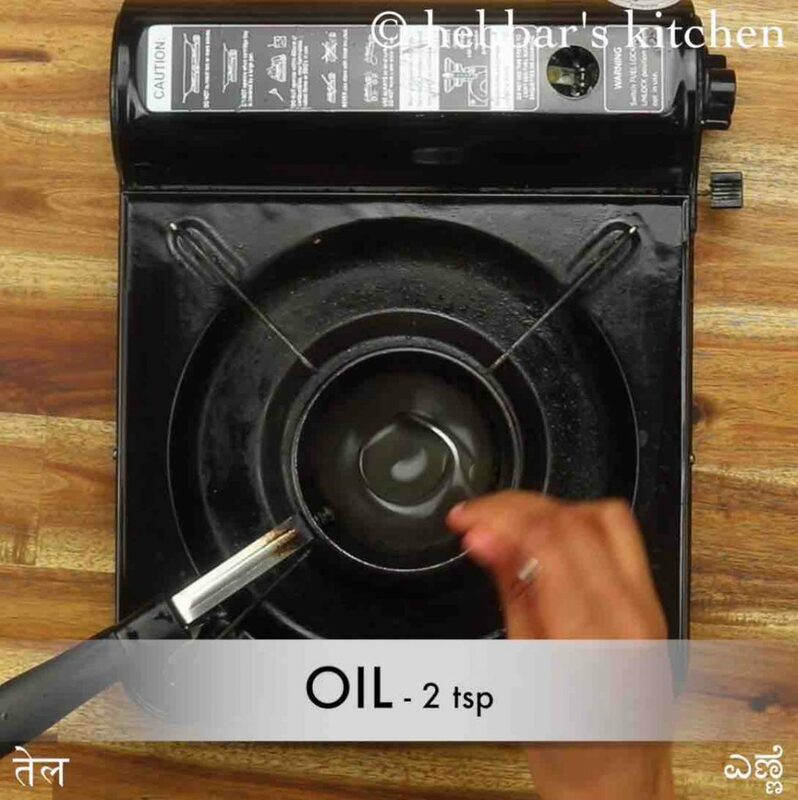 once the oil is hot, add 1 tsp mustard, ½ tsp urad dal, 1 dried red chilli, few curry leaves and allow to splutter. 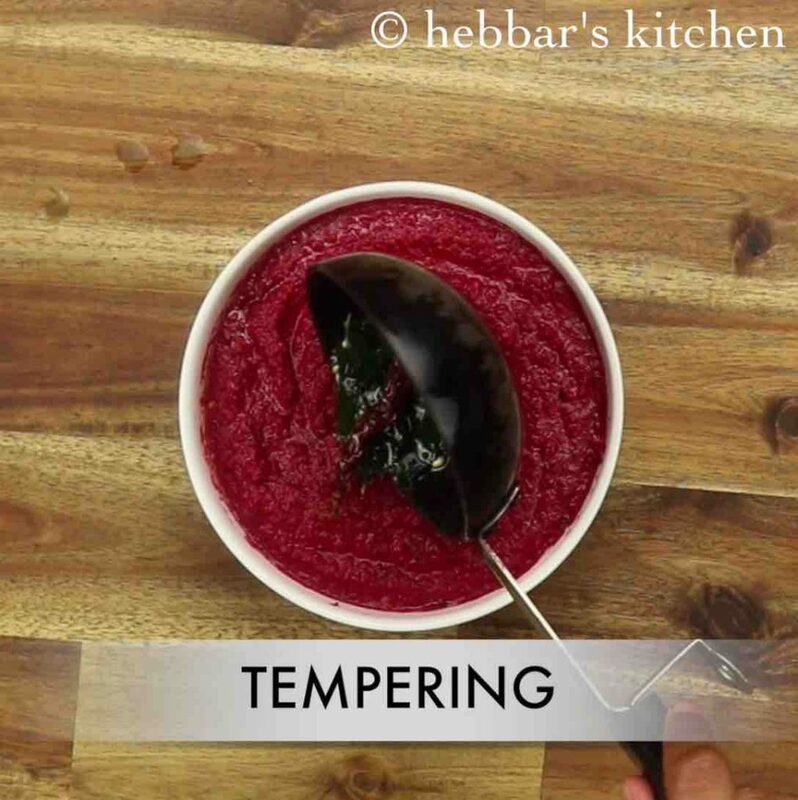 pour the tempering over beetroot chutney and mix well. 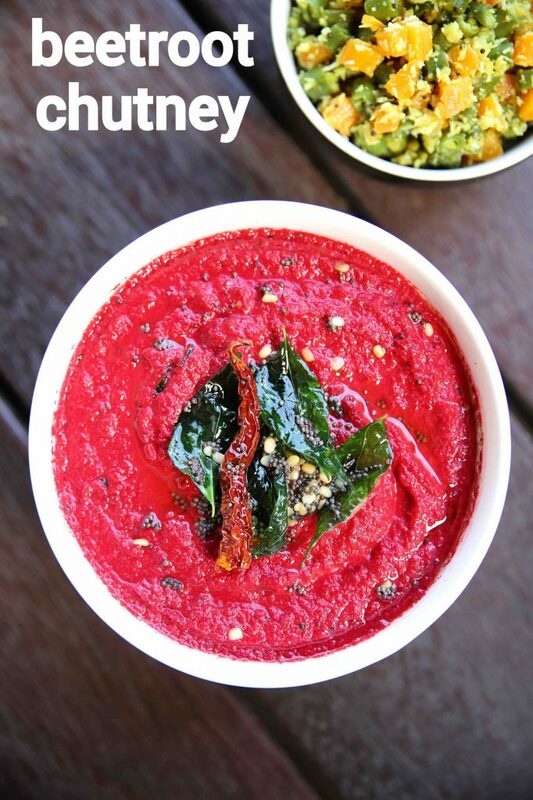 finally, enjoy beetroot chutney with idli, dosa or rice. firstly, you can alternatively use green chilli for spiciness. however red chilli will enhance the colour of beetroot chutney. also, coconut can be replaced with roasted peanuts for creamy texture. additionally, add a small clove of garlic for variation. finally, beetroot chutney recipes stay good for 2-3 days when refrigerated.